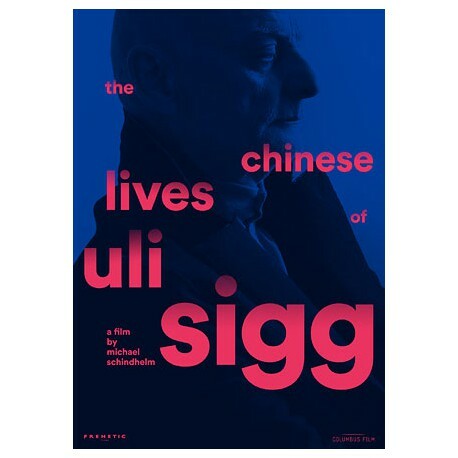 Considered to be one of the most influential collectors of contemporary Asian art, Uli Sigg has chosen ASIA NOW to present a preview of Michael Schindhelm’s documentary about him, entitled The Chinese Lives of Uli Sigg. Screened for the first time in its entirety in Paris, the film will be followed by a discussion on The role of private collections and collectors in the Museum of the Future between Uli Sigg and Pi Li, senior curator of M+ Museum in Hong Kong, moderated by Valentine Meyer, curator and art historian. A native of Switzerland, Uli Sigg played a significant role during the economic opening-up of China after Mao, and continues to do so today. Arriving in China in 1980 as an entrepreneur and economic expert, he devoted himself to art in order to gain a greater understanding of the country. Over the years, he built up one of the world’s largest collections of contemporary Chinese art. The Chinese Lives of Uli Sigg offers us for the first time ever a glimpse into the exciting and remarkable life of this entrepreneur, diplomat and art collector. Over the years, he put together one of the most considerable contemporary Chinese art collections, which he donated in large part to M+, a museum in Hong Kong due to open its doors in late 2018 (by architects Herzog & De Meuron). This donation of over 1,200 works is the most important made to this day by a private collector to a museum. The Chinese Lives of Uli Sigg offers, for the first time, a glimpse at the extraordinary life of the businessman, ambassador and art collector. Contemporary artists such as Ai Weiwei, Zeng Fanzhi, Cao Fei, Fang Lijun and Wang Guangyi consider him to be a friend and mentor to whom they can entrust their works to protect them from arbitrary destruction by the authorities.